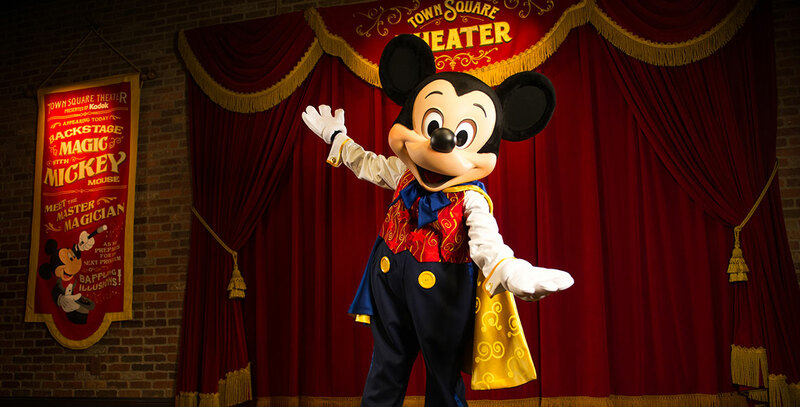 Town Square Theater Guests can meet magician Mickey Mouse in his rehearsal room and shop at Box Office Gifts; opened March 30, 2011 on Town Square at Magic Kingdom Park at Walt Disney World. Replaced the Town Square Exposition Hall. The area is filled with references to Disney characters, films, theme park attractions.